Toyota Supra - Toyota Supra Club, all about Toyota Supra! Join our club! Welcome in Club of Fans Toyota Supra! 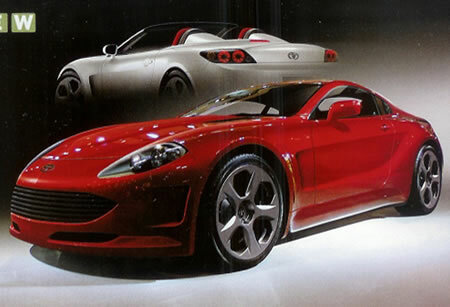 Is the 2009 Toyota Supra on the way? 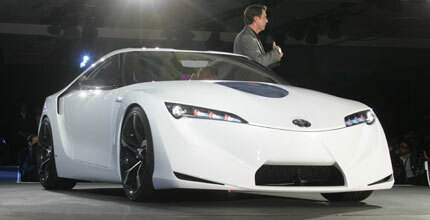 The New Toyota Supra 2007!? Rumors of a new Toyota Supra have been circulating for months and every piece of information were come across further validation of these rumors. Now we know, there will be both coupe and convertible versions of this car. The coupe will be equipped with a 5.0-litter V-8 producing 450 bhp, this engine will not be available for open air model. The last will get 3.5-litter V-6 producing 350 bhp, the same power train used in the Lexus IS350 and GS350. If everything we're hearing is true the Supra will appear in October of 2007. The Toyota Supra is the hottest cars on the road today. The Toyota Supra is a street legal twin turbo or single turbo sports car that get guarantees an adrenalin rush. With the introduction of the 4th generation Toyota Supra in 1993, a new breed of sports car with 320 bhp in a 3400 pound car gave american muscle car owners with their outdated Detroit iron a wake up call. This car of course was the Toyota Supra, now one of the most wanted cars in the world. Our site contains pics of all updatings of cars Toyota Supra: 1986 toyota supra, frame a70, 1989 toyota supra, 1990 toyota supra, 1991 toyota supra, frame MA70, GA70, GA70H, JZA70, 2001 toyota Supra, frame JZA80, Toyota supra pictures.